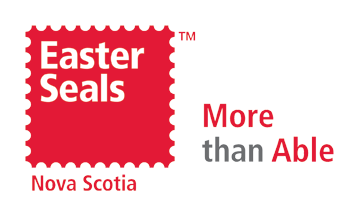 Easter Seals Nova Scotia contributes to or manages several scholarships supporting Nova Scotian students of differing abilities. Please take note of deadlines and criteria when submitting your application for consideration. Open to disabled students currently attending Saint Mary’s University in Halifax, in any faculty who are registered full-time in at least three full credit hours or the equivalent in half courses and working to the best of their ability. Award based on Academic standing. For 30 years, Faye Joudrey has been a committed advocate for those living with disabilities in Nova Scotia. Her passion, strength and encouragement was demonstrated every day in her tenure with Easter Seals Nova Scotia and the many organizations, activities, and community members she interacted with over the years. Upon her retirement, Easter Seals Nova Scotia, in honour of Faye and her passion for recreational activities and healthy living, is pleased to establish The Faye Joudrey Recreation Scholarship in honour of Faye’s extraordinary commitment to supporting sporting activities for those living with disabilities. Scholarship application only available to persons who self-identify or have been diagnosed with disability. Scholarship funding can be used to help de-fray registration fees for any recreational activity including lessons, programs, and local, regional or national competition. Scholarship funds can be used for equipment, travel, adaptations or any approved costs associated with participating in a recreational program, lesson, activity or competition. Preference will be given to those applicants who demonstrate financial hardship. The Elizabeth & Forest Fyfe Award is offered through a trust fund initiated by the late Elizabeth M. Fyfe, of Halifax, Nova Scotia, and managed by Easter Seals Nova Scotia. Are you an accomplished musician? Have you recently learned a new musical skill? If you are a young person between the ages of 8 and 21 years with a physical disability, you may qualify to become a recipient of the Fyfe Award. The Fyfe Award is a monetary gift of $250.00 given to an individual with a disability who has, despite their disability; made an effort to develop musical skills to enrich their own life and the lives of those around them. The award is available to residents of Nova Scotia, ages 8 to 21, with a physical disability. Those persons with a mobility disability will be given preference. The award will be presented to a student enrolled in a Nova Scotia educational or training institution. including, but not restricted to, tuition.